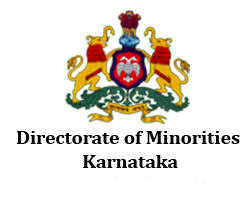 The Directorate of Minorities was carved out from Directorate of Backward Classes for more focus approach towards issues relating to the notified Minorities communities, namely Muslim, Christians, Jain's, Buddhist, Sikhs and Parsis. The Directorate working with vision to enable all the Minority Community people to lead a productive life with equal opportunities in the field of Socio, Economic, Education etc. The mandate of the Directorate includes Planning Co-ordination, Evaluation and Implement development programmers for the benefit of the Minority Community. Karnataka Students eligibility criteria is decided by the government i.e. students should score more than 50% marks in previous exams and annual income of student parents should not exceed more than 2 lakh rupees. Correspondence education and short term courses are not eligible for the scholarships. Only Karnataka state students and Above 6 minority communities are eligible to apply the scholarships. 3)Caste certificate with student fee receipts and parents income certificate. Students can use www.scholarships.gov.in/main.do website for applying scholarships. Click on student login and again click on Register button. Enter all the required details and click on SUBMIT button. Temporary ID will be sent to your register mobile. Using this Temp ID students can login and enter the personal details and academic details and save. Now it will redirect to Scholarship scheme page based on the students eligibility and need to upload all required documents and click save & continue to the next page. Here students has to enter the bank details with correct information and click save & continue to next page. Enter the current and permanent address with pincodes and tick mark the check box and confirm and submit the process. If everything goes fine you will receive the permanent registration number for future correspondence.